We provide all types of tooling for your fleet with top quality and best prices. Either aircraft tooling, engine tooling or GSE, our top expertise will help you achieve your goals corresponding to the full scope of work. Thanks to our large stock availability, we are very reactive on urgent cases like AOG. Thanks to our official licenses and our capabilities, we can support many engine and aircraft programs. Main engine and aircraft manufacturers trust in us. Our worldwide locations allow us to be closer to you and to propose the best products on the market. 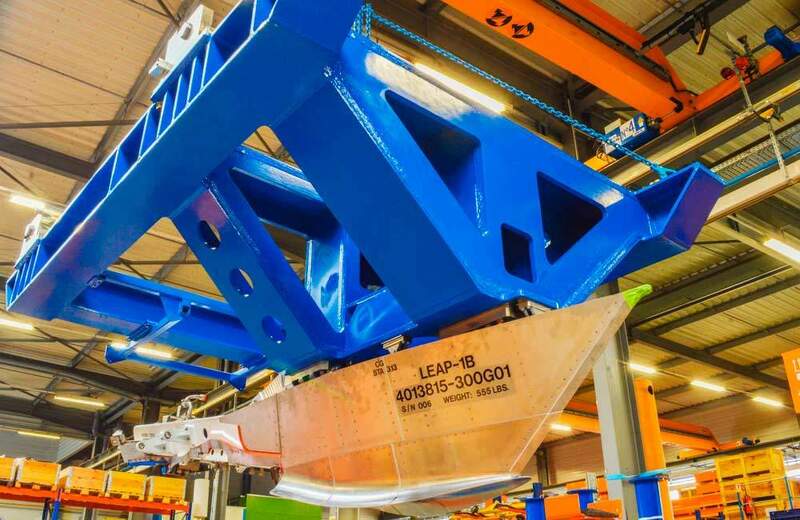 Tooling business is a long journey for Dedienne Aerospace. In 1983, we became the first Airbus licensee. Since then, our cooperation with Airbus kept increasing. Today we are also proud to be licensee of Boeing, UTAS, COMAC and Sukhoi. According to our top expertise and quality level, many of our customers trust our proficiency on build-to-print projects as well as joint development of specific equipment on a design-and-make basis. Our shipping stands guarantee safety and reliability during the transportation, installation and removal of your engines. 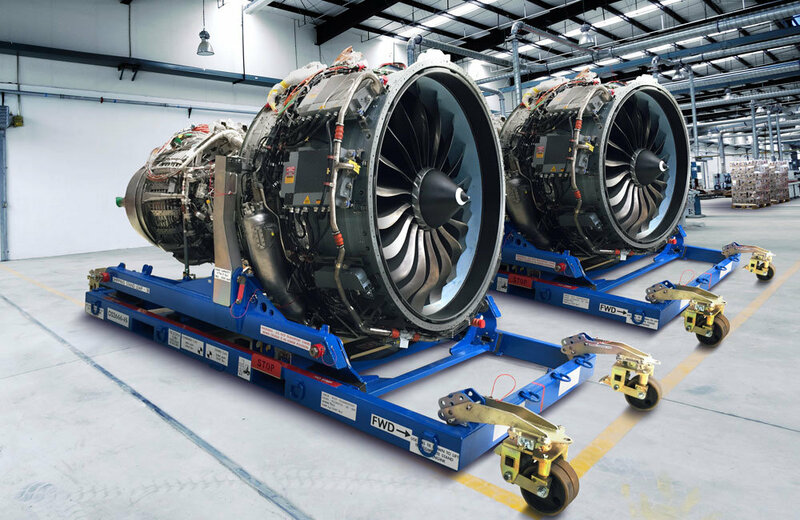 Dedienne Aerospace shipping stands are designed and qualified with Engine OEMs. They are shockproof and insusceptible to vibrations from 7 to 10 Hz. Our engine stands meet all of the specific requirements of transportation and installation/removal operations. Dedienne Aerospace works with Rolls-Royce, GE, Pratt & Whitney and Safran Aircraft Engines. We also partner with Goodrich and Safran Nacelles. From engine installation/removal to shop equipment, Dedienne Aerospace provides you with all engine maintenance tooling you need. We are official licensee of CFM, Rolls-Royce, Pratt & Whitney, IAE, and we also have large capabilities on GE programs. We are your best partner for your engine maintenance. User-friendly, reliable, multi-purpose, our large range of Ground Support Equipment is customer-oriented. Tripod-jacks, axles-jacks, tow bars, servicing carts, fluid dispensers, access platforms or nitrogen/ oxygen solutions, you will find the GSE you need at Dedienne Aerospace for your daily maintenance use. For special needs, our engineering department will design the state-of-the-art solution you are looking for. To ensure that the products are serviceable at all times, spare parts are available on stock.